After a Maritime Accident, What Are the Next Steps? After suffering a serious maritime injury or losing a family member killed at sea, you will have many questions that need to be answered. A good portion of these questions will surround you and your family’s financial situation. Worrying about medical bills and lost income is a common issue for anyone dealing with the aftermath of a maritime accident. While filing a maritime injury claim or a wrongful death suit will not erase the past, it is a good way for you to hold any negligent parties accountable and receive a necessary financial settlement. Our attorneys have helped people in your exact situation and can answer any legal questions that you have. We can help you take the next steps toward filing your claim. obtaining compensation and obtain a decent financial settlement and holding the responsible parties liable. What Are the First Steps to Take After Suffering a Maritime Injury? The first step after suffering a serious maritime injury is to seek medical attention. While your natural instinct may tell you to dismiss immediate medical treatment, it is vital that you take care of your physical health. Receiving medical care also gives you a chance to document your physical condition after a maritime accident. The next step is to have photographs taken of the vessel, area and/or equipment involved in the maritime accident. Many times changes will occur to the vessel, area or equipment involved and it is important to obtain photographs prior to changes. After seeking medical treatment, it is crucial that you contact an experienced attorney who has knowledge about maritime law. While you may consider hiring a local personal injury attorney, a maritime lawyer understands the specific rights and defenses the defendant will use to negate your claim. Our attorneys will counteract these defenses and make sure that the responsible parties answer for their negligence. Although consulting a maritime injury attorney is important, who you decline to speak with is also equally as important. Following a serious maritime injury, the company owning the vessel will attempt to contact you and dissuade you from filing a claim. A team of investigators and company lawyers will be sent to analyze the accident scene and assess your injuries. Their ultimate goal is to show that the accident was not the company’s fault and that you or your deceased loved one the majority of the blame for what happened. They will attempt to do this by talking to every available witness, taking photographs, examining the vessel and reconstructing the accident. Instead of dealing directly with the defense, our attorneys will handle any personal interactions that could affect the outcome of your case. 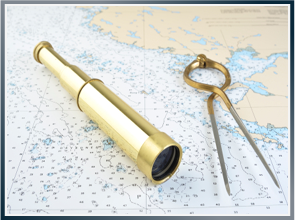 What Steps Will a Maritime Attorney Take to Help? Whether you should talk to them. Whether you should give a statement. If what you say could be used against you down the road. File the lawsuit, correspond with the other side and handle all aspects of your case from discovery to trial. Fight to achieve the best verdict or settlement in your favor and make sure the funds are set up to help with your care and your family’s care in the future. If you have lost a loved one to a maritime accident, we will help the family through the grieving and the legal process for wrongful death. Make sure someone from our office is available to you every day, even on weekends. What Are the Important Characteristics of a Maritime Injury Law Firm? A variety of experience. Along with a general knowledge of maritime law, a successful maritime injury law firm has experience interacting with a variety of maritime entities. Our firm has a history of obtaining million dollar verdicts and settlements for injured parties and families who have lost loved ones. For example, our attorneys understand the role of your employer, the vessel owner and the vessel operator’s insurance company and can effectively communicate with them during legal proceedings. A reputable maritime injury law firm also knows when to give statements to the defense and when to completely avoid all communication efforts. The ability to listen. Although dispensing legal advice is our primary function, you need an attorney who is willing to listen. Your concerns about treatment, finances and family are important, and being heard will make you trust the legal advice you are being given. Also, by listening to your concerns, a good maritime law firm is able to project what your future needs will be and advocate for them in court. A wide range of resources. Even though listening is an undervalued practice, the ability to execute a sound legal strategy is just as important. A maritime injury law firm with its own experienced team has an added advantage over law firms where attorneys are doing research on their own. For example, fighting for maintenance and cure or proving fault under the Jones Act is a lot much easier when you have extensive resources and connections resources to rely upon. Our attorneys have more time to devote to your case, because our full-time staff investigator is there to assist them throughout the discovery process. When dealing with a serious maritime injury, you will want an attorney who focuses heavily on maritime law. A non-maritime lawyer will spend a lot of his or her time studying the law instead of protecting your rights. With a situation this serious, you need a maritime lawyer who can help you with filing a maritime injury claim and defend your interests in court. If you or a family member are dealing with a maritime injury, then you should contact Latti & Anderson LLP today at (800) 392-6072 and schedule a consultation. You can also contact us online and tell us about your case. We welcome the chance to review your case and discuss your legal option. We will come and meet with you at your home or where it is convenient We have offices in Boston and New Bedford and would welcome the chance to meet with you and discuss your legal options.